Rosie Emerson’s Sirens will be luring visitors into their ethereal world of romantic imagery and extravagant hats at Hang-Up Pictures, London, from 2 May. Covering your ears will do nothing to thwart their seductive pull, as the show’s charms are chiefly visual, featuring prints, photography, collage and a Super 8 film from the Hackney artist. 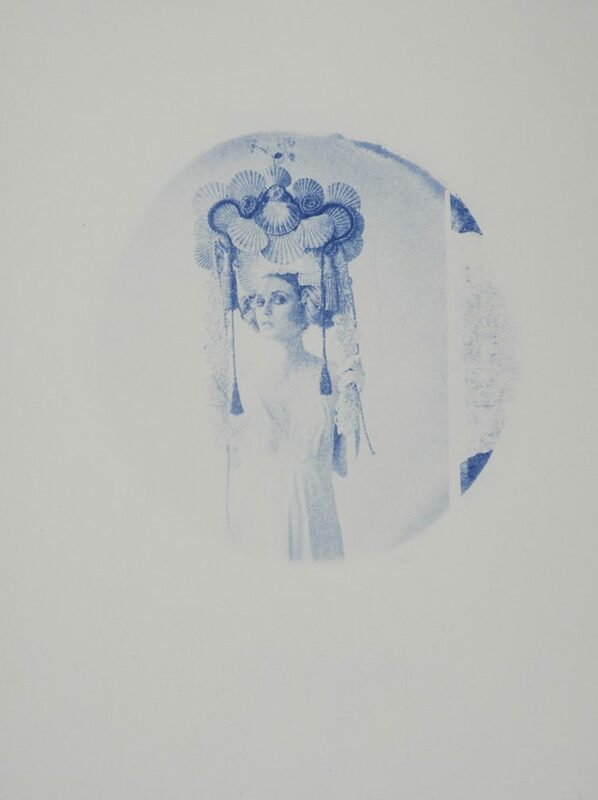 Printing buffs may recognise the predominant technique in Emerson’s Sirens series as cyanotype, and the rest of you will have seen it before in another guise – as the once-popular method of printing architectural and engineering plans, or blueprints. 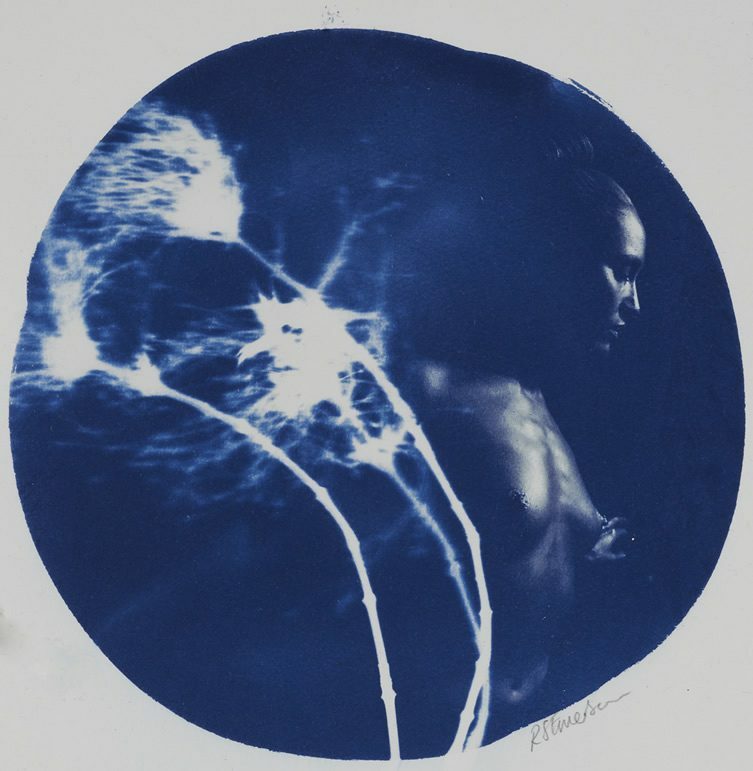 Taking her cue from pioneering photographer and botanist Anna Atkins – sometimes credited as the first female photographer – Emerson has taken the process, which gained popularity as a result of being a relatively simple one involving only two chemicals, and given it a modern spin. Emerson’s muses look themselves to have been lured into captivity within enchanted spheres, surrounded by cloud and insects, or playing with contemporary props and costume. Closing date is 8 June.